A satisfying diet drink does exist! Diet Dr Pepper offers the same 23 flavors of regular Dr Pepper, without the calories. Try one today and enjoy the unbelievably satisfying taste. Estd. 1869. 57 varieties. Grown not made (sun-ripened tomatoes). Only the Best tomatoes for the best ketchup. Our sun-ripened tomatoes, along with our passion and knowledge, give our tomato ketchup recipe its unique flavor. That's why every tomato in every bottle of Heinz Ketchup is grown from Heinz seeds. No other tomato ketchup tastes like Heinz Ketchup. Gluten-free. RUFFLES Original Potato Chips are a unique combination of great taste and good fun rolled into one great snack. 0 g trans fat. Natural & artificial flavors. This product is non-dairy, lactose-free and cholesterol-free. It's Good to Know: 0 g trans fat/serv; lactose-free; gluten-free. 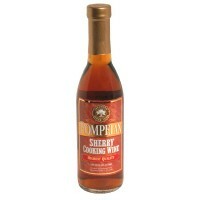 The wine has a rich creamy toasted finish on the palate whilst being silky smooth and easy to drink. 100% Natural mineral. Magnesium sulfate USP. A soaking aid for minor sprains and bruises. A saline laxative for the short-term relief of constipation. Package sold by weight not volume. Some settling of content may occur during shipment. If caking occurs, tap carton gently to free granules.